A good party is all about the details. 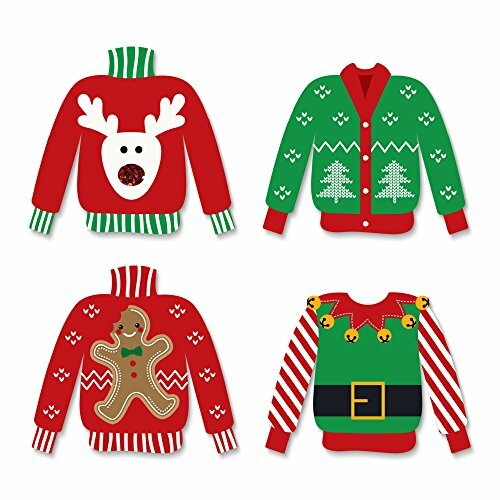 Add that finishing touch to your Ugly Sweater - Holiday & Christmas themed party with these adorable shaped cut-outs on high quality card stock. Your guests will appreciate your extra attention to detail and you'll be sure to be the "go to party planner" for all of your friend's future gatherings. 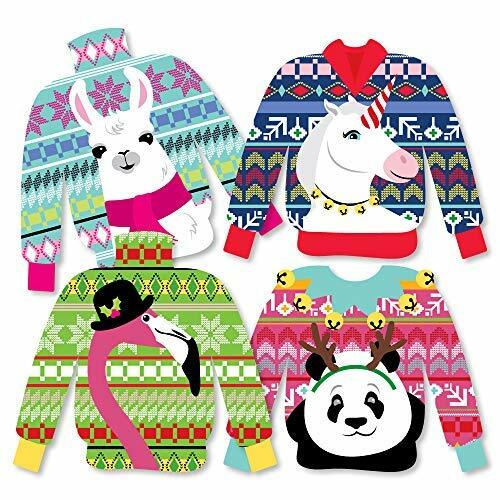 Transform any sweater into an ugly Christmas sweater! 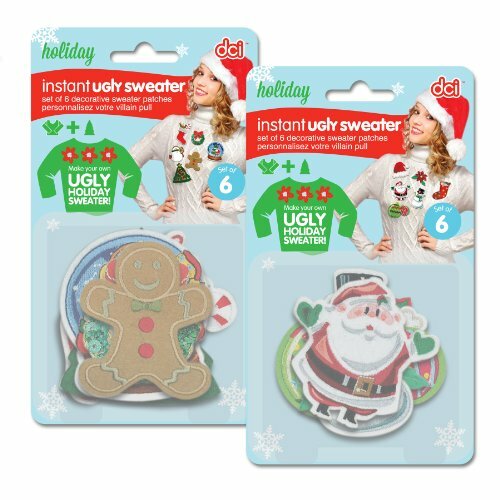 This easy Do It Yourself Kit includes 6 assorted holiday patches that easily pin to any sweater instantly transforming it into an an Ugly Sweater. 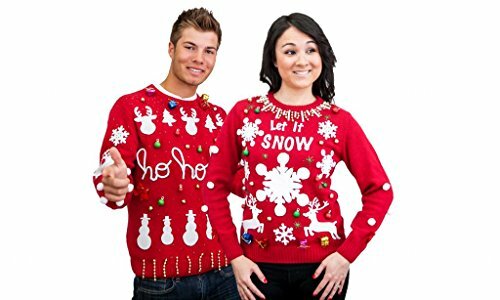 Have a last minute Ugly Christmas Sweater party, and don't want to spend a lot of time or money? 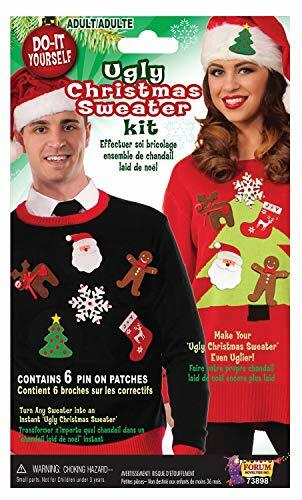 This set which may include patches with snowman, gingerbread man, Santa, holiday ornaments, stocking or other holiday themed items is perfect for that last minute ugly Christmas sweater creation! 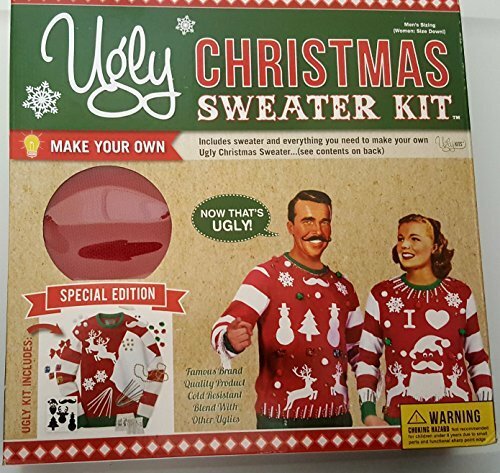 This set is perfect for creating an ugly Christmas sweater for women or for men. Patches measure approximately 3" and can be pinned on in any configuration you think looks best (or worst!) Assorted styles (style is chosen at time of shipping based on availability). 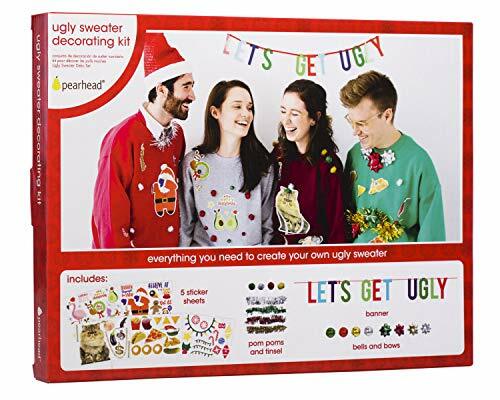 Make your Christmas or holiday party or special event unique with these Wild and Ugly Sweater Party - Sweater Decorations DIY Holiday and Christmas Animals Party Essentials. You can easily fill your party space when you use these shaped cut outs for all of your DIY party ideas. Our die-cut party decor looks great when used as wall decorations, bunting banners, even styled as centerpieces at your tables. 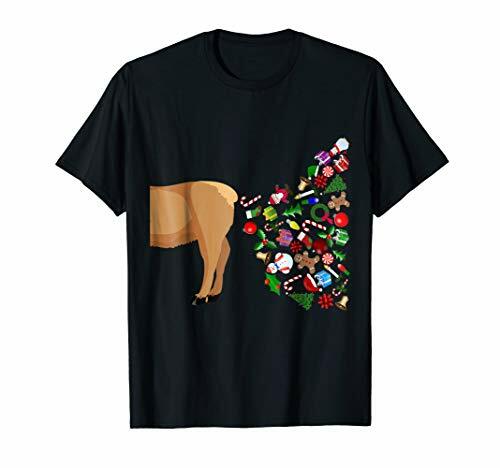 Best of all, this set of Ugly Sweater Shaped DIY Die-Cut Party Decor will arrive printed with a animal on the back so you can hang them from the ceiling, create bunting banners or create fun balloon displays when you tie them to the balloon strings. Sweater shaped party decor are sure to help you style an impressive party! 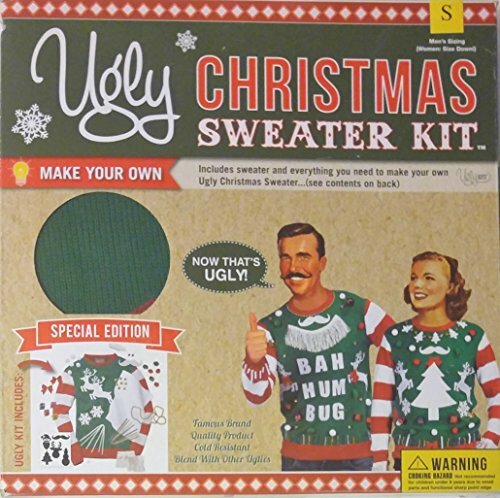 Celebrate the holidays in style with this Ugly Christmas Sweater Kit . 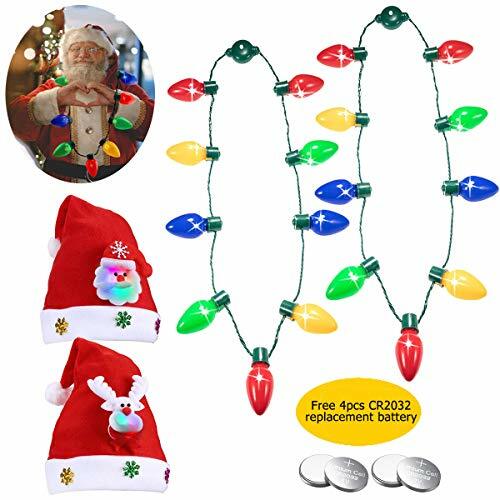 You will love the old vintage style Christmas light bulb string lights made popular again! This flashing bulb necklace can be worn or used in DIY art projects or Holiday decorations. It would work great on a smaller tree or wreath. Very festive whimsical Holiday accessory. LED bulbs are bright and beautiful!